You are the captain of a starship! 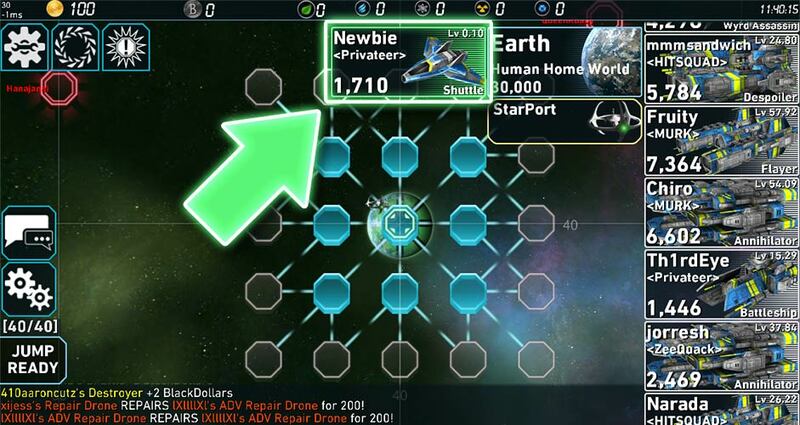 Your immediate mission is to earn wealth, upgrade your ship, and meet friends along the way! If your Ship's Health reaches zero, you will die. New captains begin with a Shuttle. 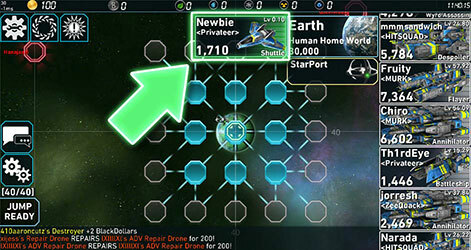 Earn free ship upgrades every three levels, or buy better ships at Earth. Level-up by destroying aliens and pirates to earn Experience (XP)! Levels unlock better items, ships, health, and damage bonuses. The Universe is made up of connected Sectors your ship can jump between. Once you plot a course press the “GO!” button! Your ship will move automatically. Blue Sectors are safe. No combat is allowed. 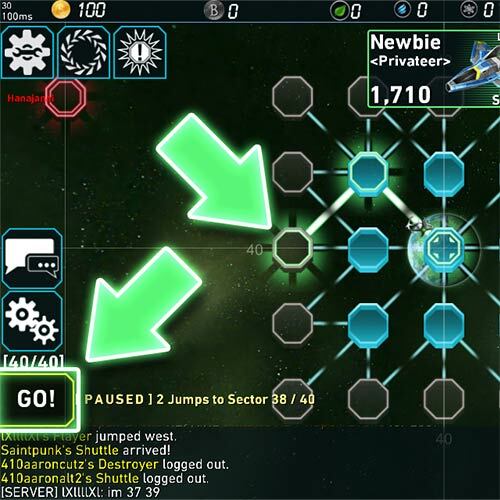 Grey sectors are safe from Player vs Player combat and is the “newbie” hunting area. Black sectors are dangerous, and anything goes! Red Sectors are invasions with powerful aliens or pirates and designed for groups. You will quickly discover aliens and pirates as you begin to explore! Tapping on the enemy ship will start the auto-attack process. The speed and damage of your attacks is determined by your weapons. Long-pressing will start the auto-attack process and will make your ship auto-follow your victim if he tries to run away from you. The timer displayed on your target is how long until your next attack. Your target will be destroyed when its health reaches zero, earning you loot, resources, and XP! When your Ship's hull takes damage, you need to repair it or you will die! Your ship stores Metal Resources dropped by enemies. Each Metal repairs 150 health. Long-press your ship (or an ally's ship) to repair with Metals. The best way to earn money is to kill aliens and pirates, then sell their Resources at StarPorts. StarPorts are shops which buy and sell things. They can also repair your hull for Credits. You can buy and sell powerful items on the Auction House! Joining a player-run Corporation is one of the most important things a new captain can do once getting his bearings inside the game. It's likely you will get requests to join early in your career. So, join one as soon as possible! See the Wiki for more detailed information!